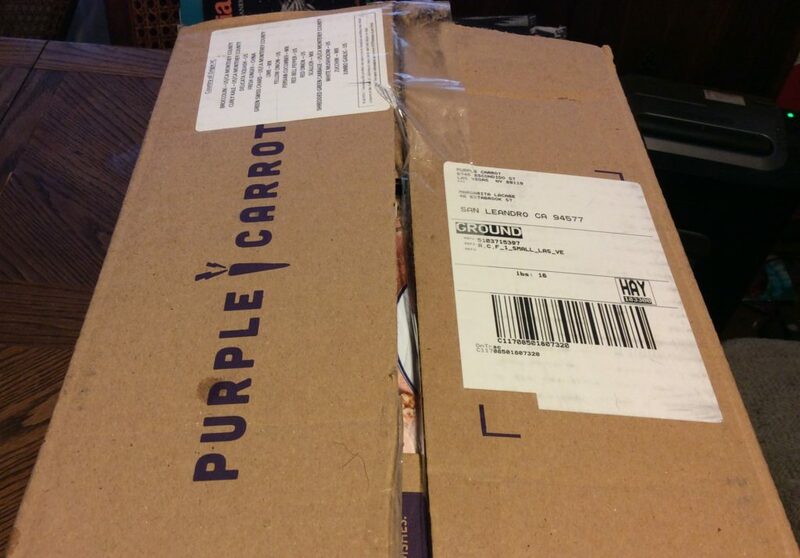 I have a vegan daughter, so in my journey to try all meal kit companies, I decided to give Purple Carrot a try. It was a total disaster. She did not like any of the three meals she got, and ended up not eating more than a few bites from each. 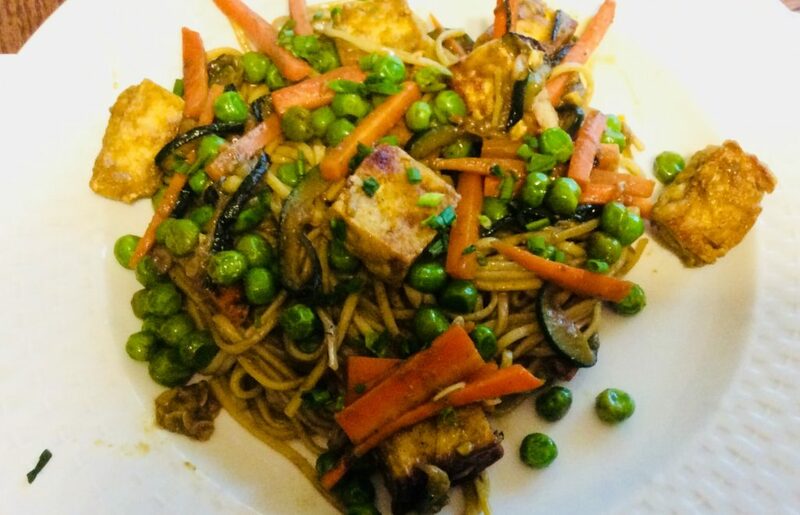 This is a child (well, teen) who realizes that since she adopted a vegan diet, she does not get to be picky on what she eats – but Purple Carrot failed to meet even her very low standards. In all, I cooked three meals in one week. I got a $30-off your first week deal, so I ended up paying $42 for this box ($14 per kit or $7 per portion). Money very badly spent as most of the food went to waste, even the dog wouldn’t eat it. 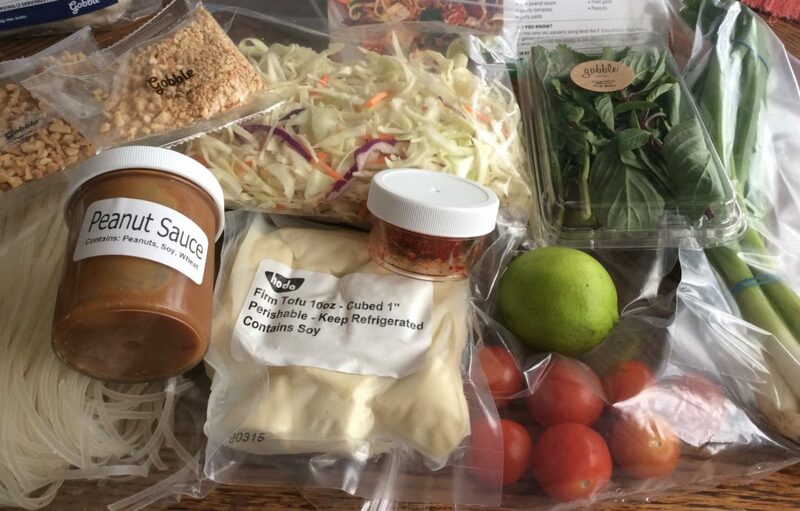 When you subscribe to Purple Carrot you will get a weekly box with three 2-serving meal kits, for $72. You can choose a so-called “plan,” high protein, quick & easy or chef’s choice, but that only determines which meals you will get sent by default if you don’t make choices in a given week. Shipping is free. 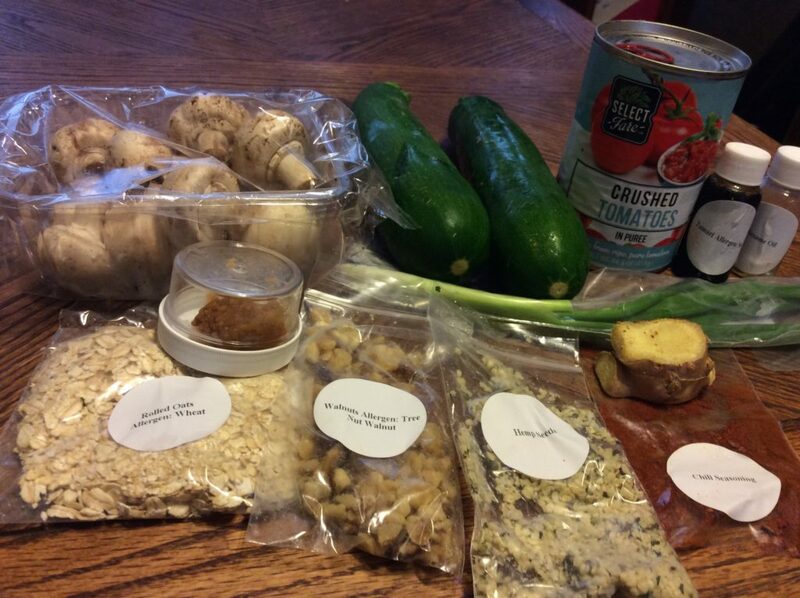 Purple Carrot also sells a variety of breakfast and lunch kits that you can add to your order. 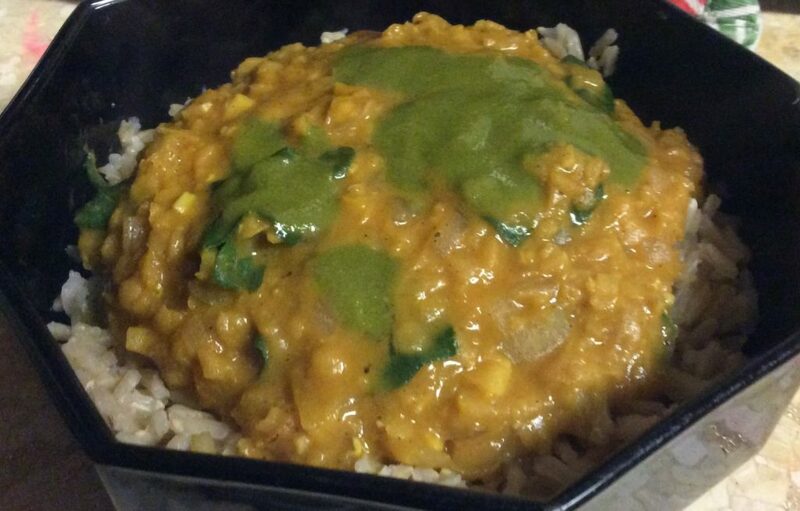 Purple Carrots offers six vegan meal choices a week. Proteins are usually tofu, tempeh, beans or legumes. My daughter is a big fan of “fake” meats – in particular fake chicken -, so she wasn’t thrilled that these were not offered. The recipes are modern and sound like the sort of things you would get at a mid-priced restaurant here in California. 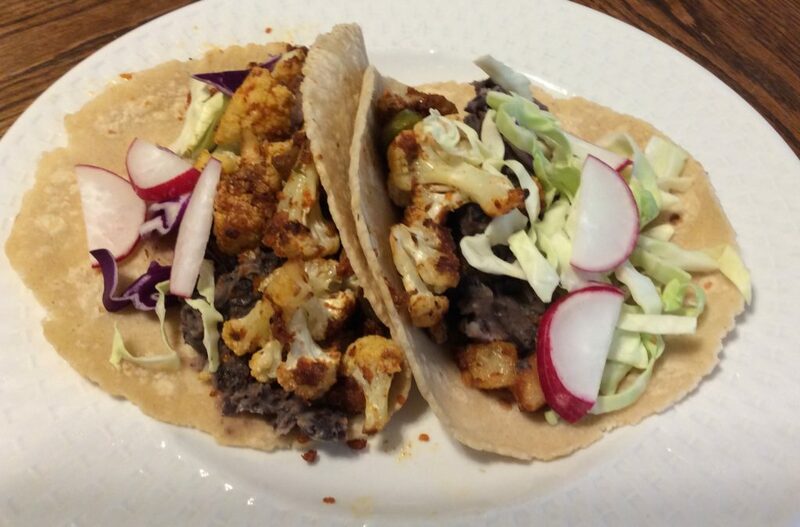 As you could expect, there is an emphasis on vegetables and whole grains, and many of the recipes have Mediterranean, Mexican and Asian influences. 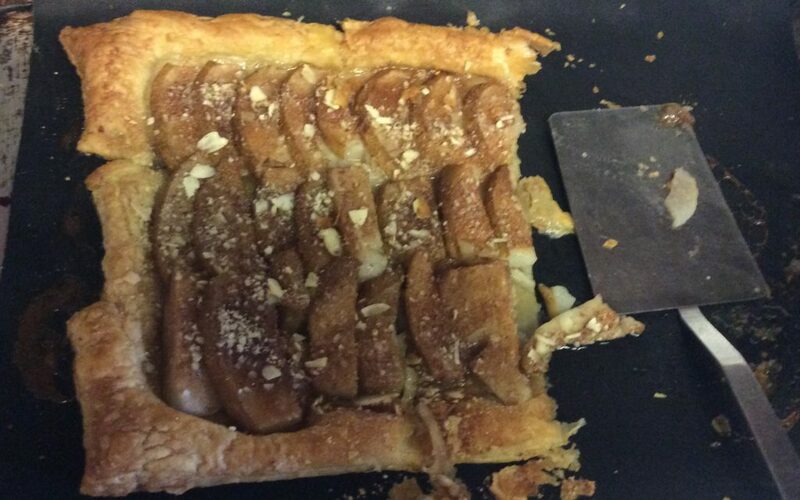 The ingredients were mostly fresh and of good quality, but the garlic came damaged, as you can see. 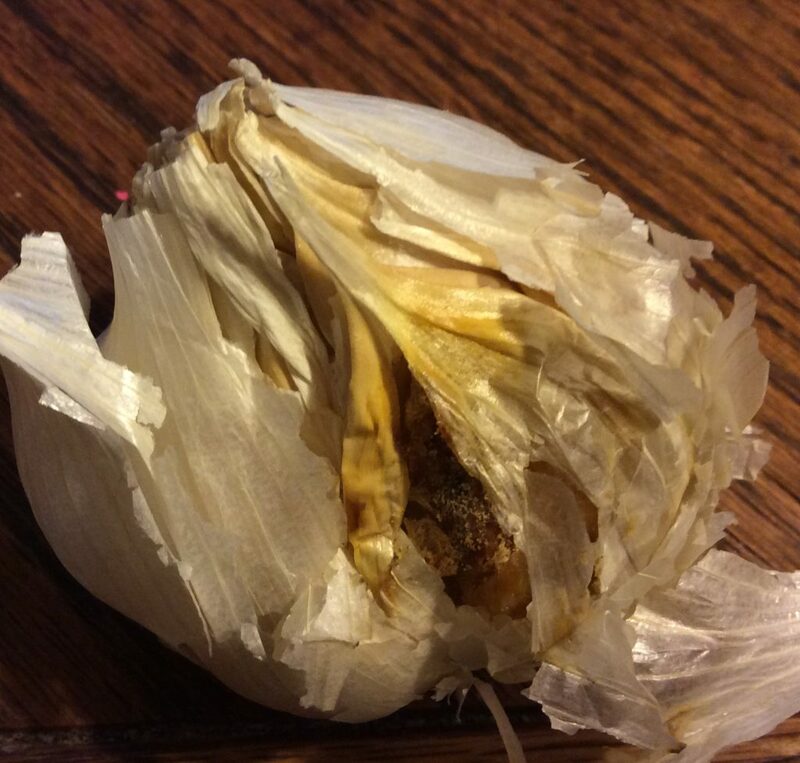 I’ve never seen garlic turn this way, so I’m not totally sure what happened to it. 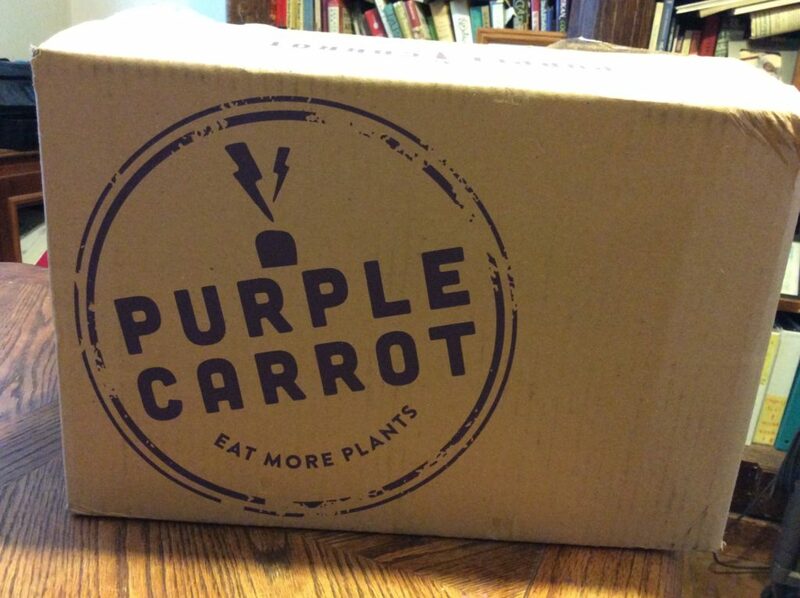 I did e-mail Purple Carrot and got a $5 credit for my next order – which will never happen. 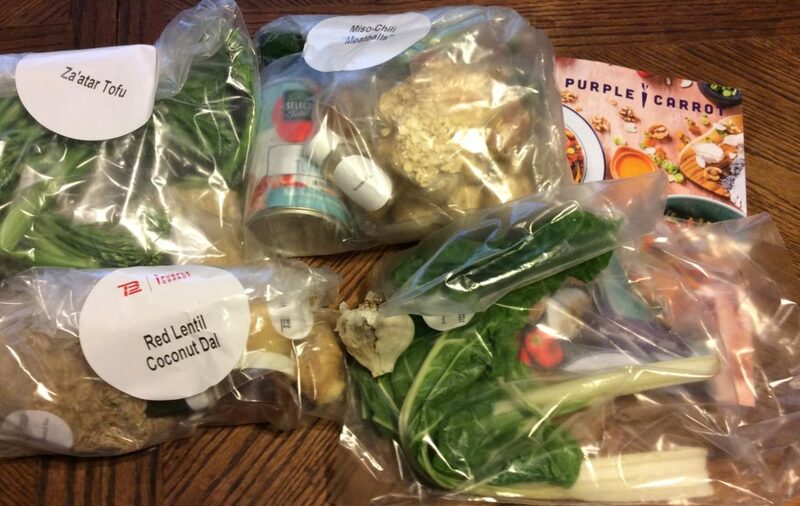 The ingredients came organized by kit/recipe in plastic bags – with some larger ingredients (the bok choy shown here) on their own bags. The garlic came on its own as it was supposed to be used in the other recipes. The box came the day it was supposed to come and during the day. I had an e-mail the week before letting me know when I’d be getting it, but no reminders nor a tracking number. The kits came inside a cardboard box. Unfortunately, not a particularly well sealed cardboard box. Fortunately, all the contents were fine (save for the garlic). Inside there were recipe cards, and the ingredients, with freezer packs at the bottom. Everything was crisp. I don’t believe the lining was recyclable but I’m not sure. The freezer had to be thrown on the trash. This dish might have been OK had I not added the cilantro chutney. 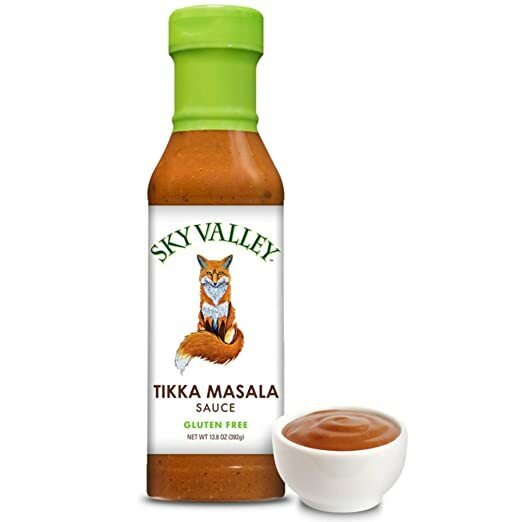 As it was, it was so spicy that it was totally inedible for my daughter. The issue here was texture. 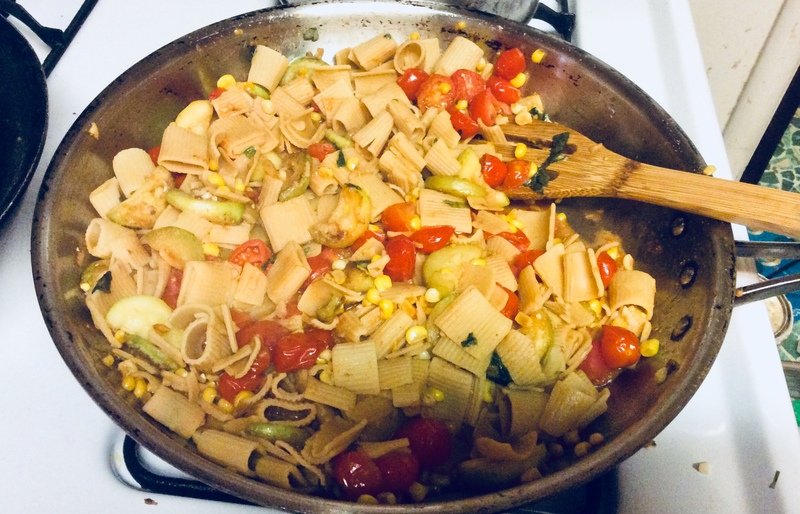 To my daughter, the zucchini noodles looked so much like pasta that she was expecting them to eat and feel like pasta – the strange texture threw her off and not in a pleasant way. She also disliked the texture of the “meatballs”. 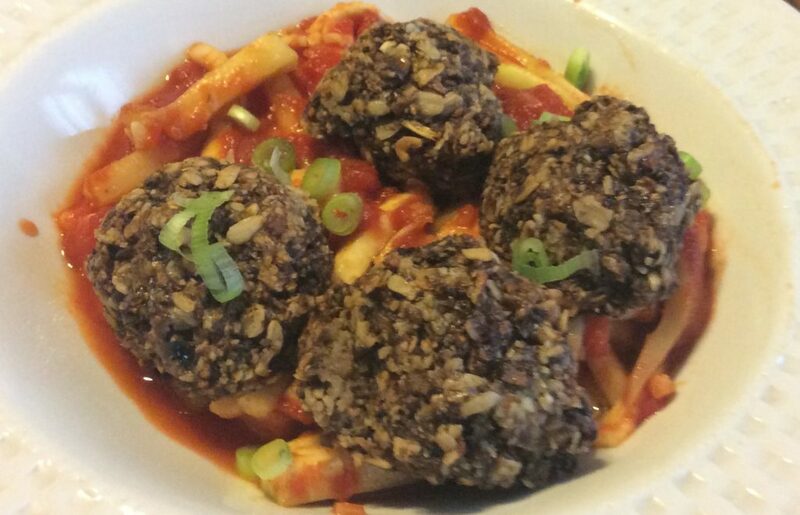 Finally, this dish suffered from being tasteless. 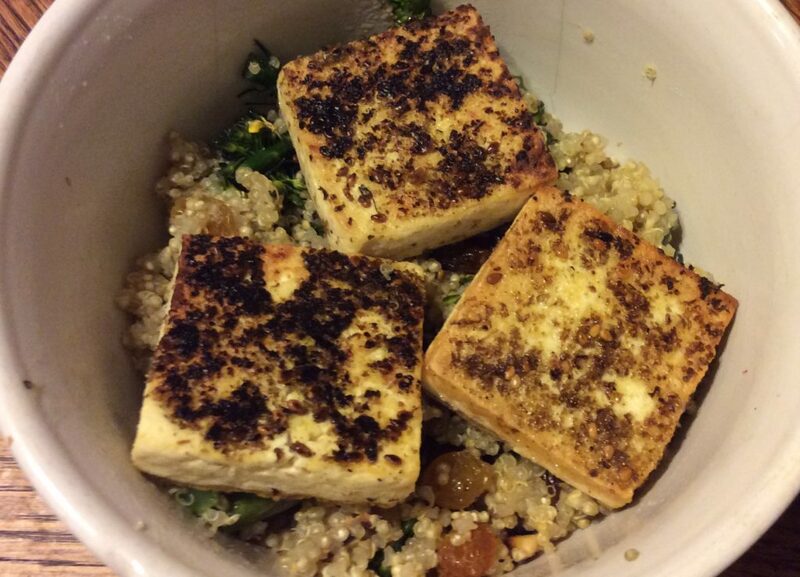 Not only was the tofu pretty insipid – something which my daughter has come to expect – but so was the quinoa pilaf. 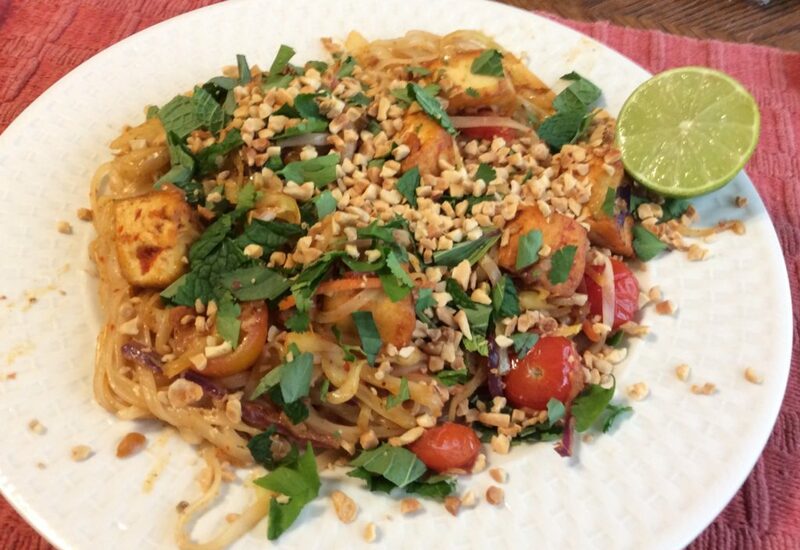 Despite our experience, Purple Carrot seems to be liked by many people, and given the lack of vegan meal kits out there, it’s probably worth your while to try it for a week if you are vegan (just remember to unsubscribe after you get your box to avoid paying for a second week – in case you don’t like their fare).